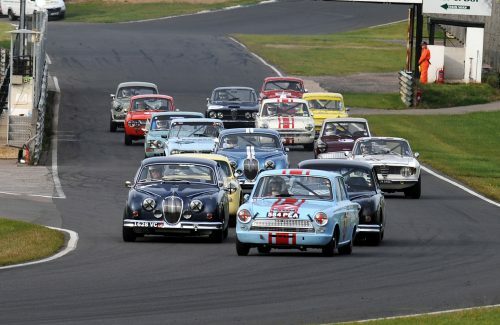 Lydden Hill Race Circuit will sing to the sound of turbocharged anti-lag next week as the Kent circuit hosts the Toyo Tires Motorsport UK British Rallycross Championship for its traditional Easter Bank Holiday Monday event (April 22). 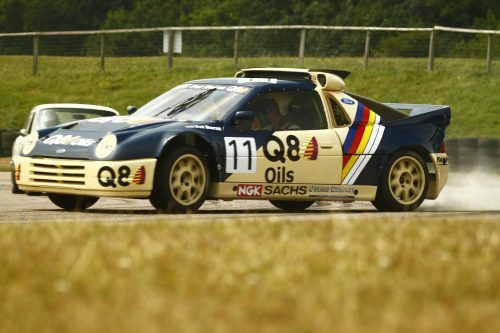 Twelve 600 horsepower, four-wheel drive Supercars are entered for the first rallycross event of the rear at the ‘home of rallycross’, including British, Irish and European Champions. 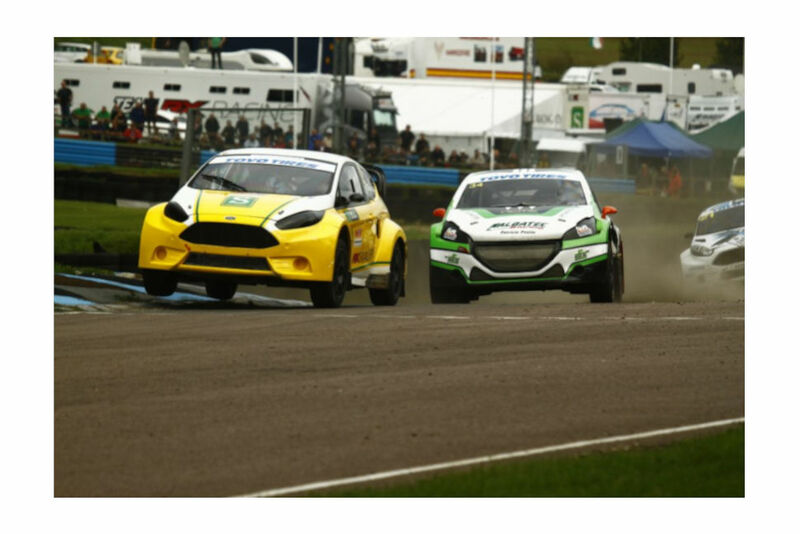 Five-time British Rallycross Champion Julian Godfrey won the first round of British RX and leads the Championship. He has entered his home event in his Ford Fiesta Supercar. Double FIA European Rallycross Champion Derek Tohill will also race a Ford Fiesta on his return to Lydden Hill. Tohill, who is also a three-time Irish Rallycross Champion, has previously won at Lydden in the Euro RX rear-wheel drive TouringCar Championship and is second in the 2019 British RX points. Third in the standings is four-time British RX Champion Pat Doran, who knows the Lydden Hill circuit better than any of the current field having regularly raced at the venue since the Group B era of the sport almost 30 years ago. Doran finished third in round one, driving an LD Motorsports Citroen C4. London-based Irish driver Ollie O’Donovan won the British Rallycross title in 2007 and has recently won at Lydden in a Ford Fiesta Supercar. He has entered his Tony Bardy Motorsport run car for round two of the 2019 series after being forced to withdraw from round one with engine problems, and will be hoping to fight back in Kent. Steve Hill, racing his unique Mitsubishi Evo 10, finished fourth in round one behind Doran and will also be in the fight for the podium at Lydden, as Welshman Roger Thomas is set to debut an M-Sport Ford Fiesta Supercar, the same kind of car that Ken Block raced in the FIA World Rallycross Championship in 2014. Thomas’ Fiesta was recently imported from the USA is being rebuilt by Tony Bardy Motorsport. Rallycross stalwarts Andy Grant and Steve Mundy will compete in their Ford Focus and Ford Fiesta, Grant’s car the same that was developed by 1992 FIA European Rallycross Champion Will Gollop, then later raced by now British Touring Car Championship star Andrew Jordan. Father and son pairing Mike and Liam Manning will race their Ford Fiesta and Subaru Impreza respectively. The Impreza has visited Lydden previously, driven by Mike, but next week will be the first time the team has run the Fiesta at the oldest rallycross circuit in the world, ahead of the experienced rallycross and hillclimb driver embarking on a European Rallycross Championship challenge this year. After taking a break from the sport, Simon Horton will return to rallycross Supercar action with his Horton Racing team’s Subaru Impreza Supercar at Lydden, which has been heavily revised for 2019. Like many of the drivers in the Supercar field, Horton has raced in a number of rallycross’ categories though his career, but was forced to miss the 2019 season opener due to delays in completing the upgrades to the Impreza. Tickets for the traditional Bank Holiday Monday Easter egg-stravaganzer are available for just £15 online now at https://lyddenhill.co.uk/events/british-rallycross-championship/ Children 13 and under enter free!